The Castle of Kaysersberg was built towards 1200 by an imperial bailiff for Frederick II, Holy Roman Emperor. Its main role was to act as a defensive barrier to the routes coming from Lorraine. Kaysersberg was an important strategic site during the war that opposed the Holy Roman Empire and the Dukes of Lorraine. 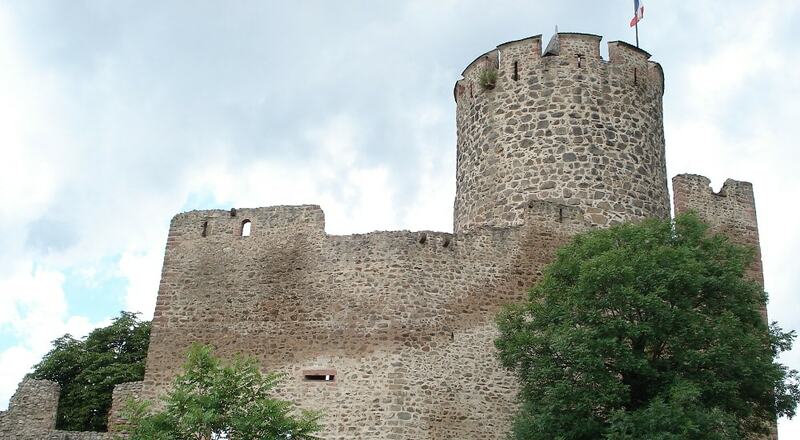 The imposing circular keep is the oldest part of the castle and one of the oldest circular keeps in Alsace. Together with the 4 m thick curtain walls, they were designed to make the castle a military fortress. The castle defenses were further modernized in the 15th century in response to the developments made in artillery and firearms. The castle was besieged during the German Peasants' War; it was restored in 1583 by Lazarre de Schwendi. Kaysersberg Castle was abandoned at the end of the 16th century. After the French Revolution, it was declared a national asset and sold to a private citizen, who planted vines in the courtyard. At present, the impressive keep is still standing; visitors can also admire the granite curtain walls, the manor house with its Gothic art windows and, above all, the splendid panorama looking over Kaysersberg from the top of the castle.